The following alert was sent to residents on Sunday afternoon by CompassRock/CW Capital on the status of power as well as elevator service in certain buildings. As of this alert’s being issued, Con Ed was still on the property making repairs. In other news, the Manhattan Kids Club, which is located in Stuyvesant Town, will remain closed this week, due to significant damage to the space during the hurricane. We will provide a more comprehensive update on restoration efforts later today. In the meantime, we are posting an interim update to inform residents with respect to continued issues with certain services. Specifically, there are examples of buildings that have had electricity restored, but where there are continued elevator outages. In addition, in buildings that otherwise have power, certain apartment lines remain without electricity. This is due to issues ConEd is having with their power distribution system. Simply put, full electrical service from ConEd has not yet been restored in these buildings. ConEd is on site working to fix these issues. Otis, our elevator service company, is also on site to ensure elevator service is restored as soon as possible following the completion of ConEd repairs. Additional buildings that experienced similar problems following the initial restoration of power on November 2nd have subsequently had their issues corrected effective today. Heating Centers: An additional heating center and cell phone charging station will be activated in the ice rink tent beginning at 1PM today and will remain open until 8pm. The Community Center will continue to serve as a heating station for the elderly from 8am until midnight today. Please inform your elderly neighbors. Greenmarket: The Greenmarket is not on-site at Stuyvesant Town today. The farmers will be joining the Tompkins Sq. Greenmarket (E.7th and Avenue A), which will be open from 8am until 6pm. EBT/Food Stamps/Debit/Credit, and WIC & FMNP checks accepted. Manhattan Kids Club: The Day Care Center located on 14th Street sustained significant damage during the storm. The restoration crew has begun work today. The center will not be open this week. A more detailed timeline of when the center will be reopened will be provided later this week. If you have questions about the center, please call (212) 677-0608. Con Edison has just announced that it will begin the process of restoring power to mid and Lower Manhattan following repairs to its East 14th Street substation. However, the company warned that some buildings with flooded basements or damaged electrical equipment will not have power restored until repairs are made by building owners. Con Ed also said anyone going into flooded basements should use extreme caution and keep children out of flooded basements. Con Ed is also distributing dry ice today at 14th Street and Union Square until 6 p.m. or until supplies run out. Earlier in the day, there were reports of rumors that phony Con Ed workers were robbing people in their homes, although this has yet to be confirmed. Con Ed has not yet responded to a request for details on the repair schedule. 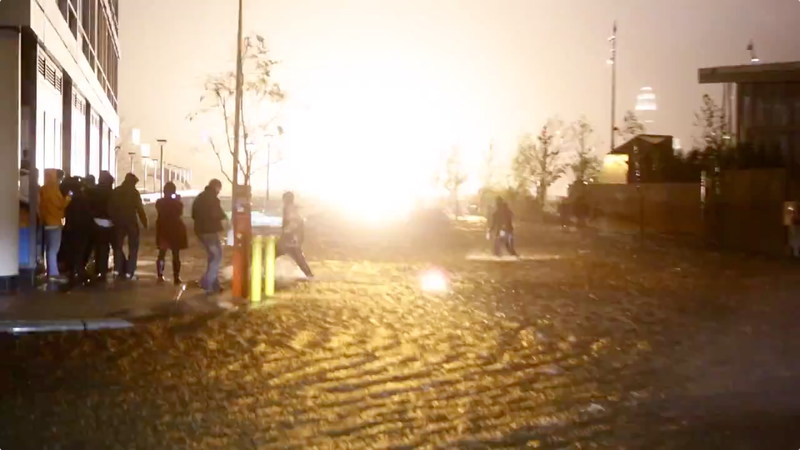 There was an explosion at its substation near Stuyvesant Town on Monday evening during the storm.